Registration now open! You ASKED…WE DELIVERED…registration EXTENDED. Limited space available, Register today, and join us for another great Artistacon. Join Our Mailing List For Exciting Artistanews! Artistacon is an educational conference for seasoned and aspiring creatives celebrating the creative process and the mentorship of a new generation. A unique and intimate engagement featuring workshops, educational symposia, portfolio reviews, demonstrations, and displays from featured artists, illustrators, and writers; all willing to share their expertise with those looking to build and expand professional bridges or pursue a career in the Arts. Join us for a new exciting event at an incredible venue. 2019 is going to be a great year for all of us! We have the industry’s best and we can’t wait for you to spend some quality time with them. Whether it is a social gathering, a impromptu sketch night, a demo, a lecture, a museum visit, or just grabbing a bite to eat. Our goals is to bring everyone together for 3 days of fun, creative growth, and relaxation. Wondering where you should stay on your Artistacation? We recommend Sonesta located at 1800 RittenHouse Square and Market Streets 215-561-7500 and La Meridien, 1421 Arch Street. 215-422-8100. Call for Conference Rates. Located steps away from Rittenhouse Square, the art inspired Sonesta Philadelphia has 439 luxurious guestrooms and suites. Guests of the hotel enjoy complimentary high speed wireless internet, access to our 24 hour fitness center, business center and seasonal rooftop pool. Experience our “Food is Art” culture by sipping an art inspired cocktail at Art Bar or conveniently ordering room service. Wander through our rotating lobby art gallery or view our record breaking 22 story mural above our front doors. Boasting 16,000 square feet of meeting space with 16 conference rooms, the Sonesta Philadelphia is perfect for gatherings large and small. Enjoy our convenient location close to world class shopping, restaurants, universities and museums. Now Open! Our in-house restaurant, Ruth’s Chris Steakhouse! Images and hotel description courtesy of Sonesta. 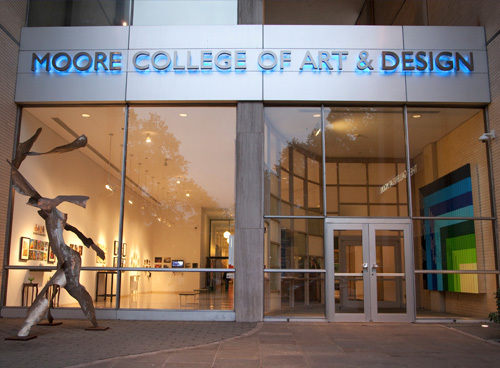 Artistacon 2019 will be held at the Academy of Natural Sciences at Drexel University and Moore College of Art & Design. Conveniently located in Center City Philadelphia, it is minutes away from world class museums, restaurants, historical sites, cultural opportunities, and major transportation hubs, including the Philadelphia International Airport, train, and bus stations. Places to visit within one mile: The Liberty Bell, Independence Hall, Academy of Natural Sciences, Philadelphia Museum of Art, Barnes Foundation, Second Bank Portrait Gallery, Rodin Museum, PAFA Museum of Art, and so much more. Join us for Artistacon 2019 in the historic City of Philadelphia. This even just keeps getting better as we introduce incredibly talents artisans form all around the United States. Creative movers and shakers in the art world, creating works of art of the highest caliber. Hang and learn from these skilled professionals. An Artistacon salon. Philadelphia has a history of great artists and creatives congregating to exhibit their wares and show off their mad creative skills. We plan to add one more event to that historic roster with the Artistacon Showcase. For one night, strut your stuff and maybe make some dough. Sign up to get notified of our speaker line-up, programming, and when registration opens!